The Purple Flare 2.0 Data Cable is the perfect solution for hifi audio enthusiasts trying to accommodate DACS, especially ones that require micro-B or mini-B connectors. This purpose built USB cable consists of four silver-plated, OFC conductors encased in high performance FEP using Nordost’s innovative extrusion process. A double-shielded construction ensures an electrical and sonic integrity that is unmatched in its stock counterparts. Additionally, fully shielded, metal jacket connectors maintain optimum signal transfer. 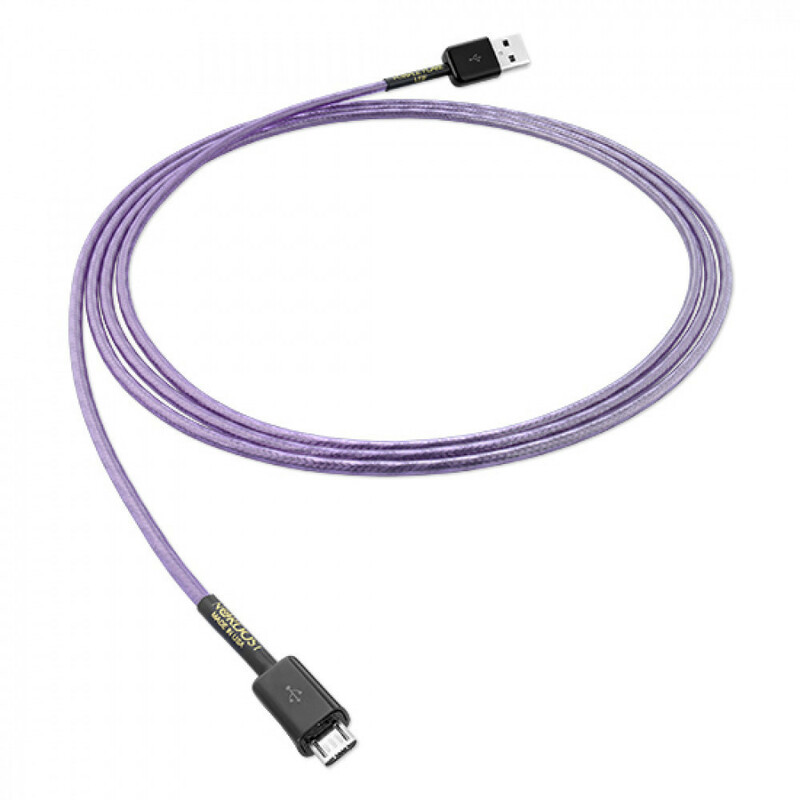 Designed, manufactured and hand-terminated entirely in the USA, the Purple Flare 2.0 Data Cable guarantees the accurate construction required to produce the best possible performance from computer audio equipment.